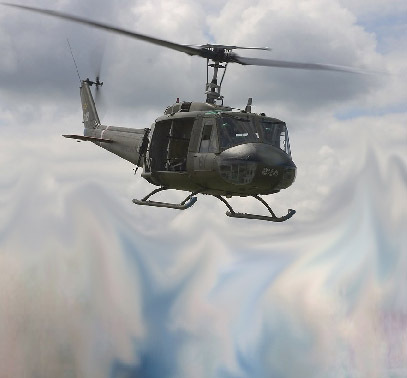 Probably the most common event in all of Vietnam was the arrival of the resupply chopper. In most cases, this was a Huey or "slick"coming in; sometimes it was a CH-47 Chinook showing up for a big resupply job. Problem was....those chopper pilots had about as much chance of finding you down in the jungle as they did finding speckled trout in a rice paddy. Sooooo....the solution was to "pop smoke". 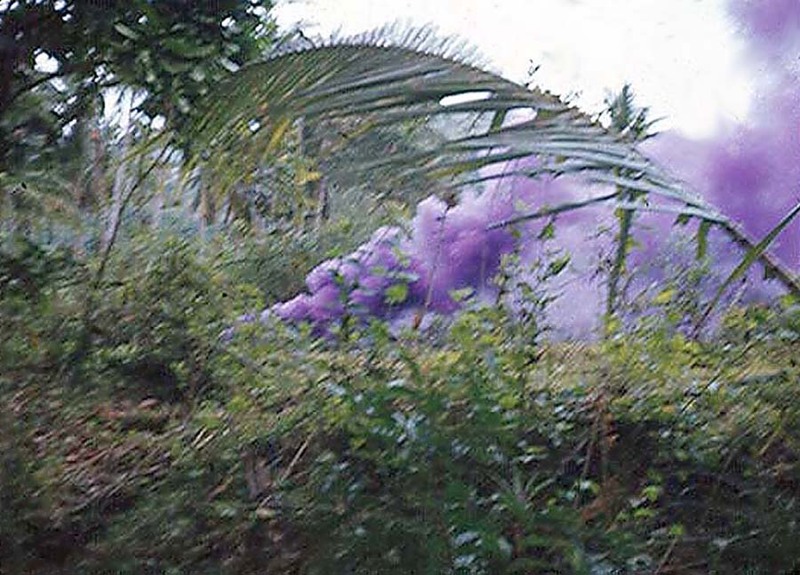 Every unit serving in the field knew the importance of carrying those colored smoke grenades. Someone would go out to a clear spot in the LZ, pull the pin of the smoke grenade, toss it, and wait for the pilot to identify the color. This was intended to thwart sneaky Charlie from "popping smoke" himself and directing your pilot to the wrong LZ and a possible ambush. Say goodbye to your supplies...as well as the chopper and the pilots...if that occurred. Routine, routine, routine. Happened every day. One of our grunt geniuses popped a grenade for the resupply chopper....a CS GRENADE! So here you have a pilot trying to land with the resupply and his chopper blades sucking a grenade full of CS into the window of his pilot seat. The pilot didn't laugh, didn't smile, but probably cried involuntarily. He also "pulled pitch" and got the hell out of there. And we got no resupply that day, either. Last seen, the "grunt" who threw CS instead of smoke had paddle in hand and was headed for the sh** - burning detail. Footnote: Per Sgt Bobby Day of A/2/35 at the 2009 Reno reunion: "That wasn't the first time, either!"